And welcome to February, everyone. What a relief to be out of January, am I right? With two eclipses and a Jupiter/Neptune square, January was full of surprises, and not all of them pleasant! Luckily, February is a dream, and it all starts with an exceedingly friendly new moon in Aquarius on February 4th. The moon will dance a lovely tango with both Mars and Jupiter, ensuring any new initiatives get off on the right foot. 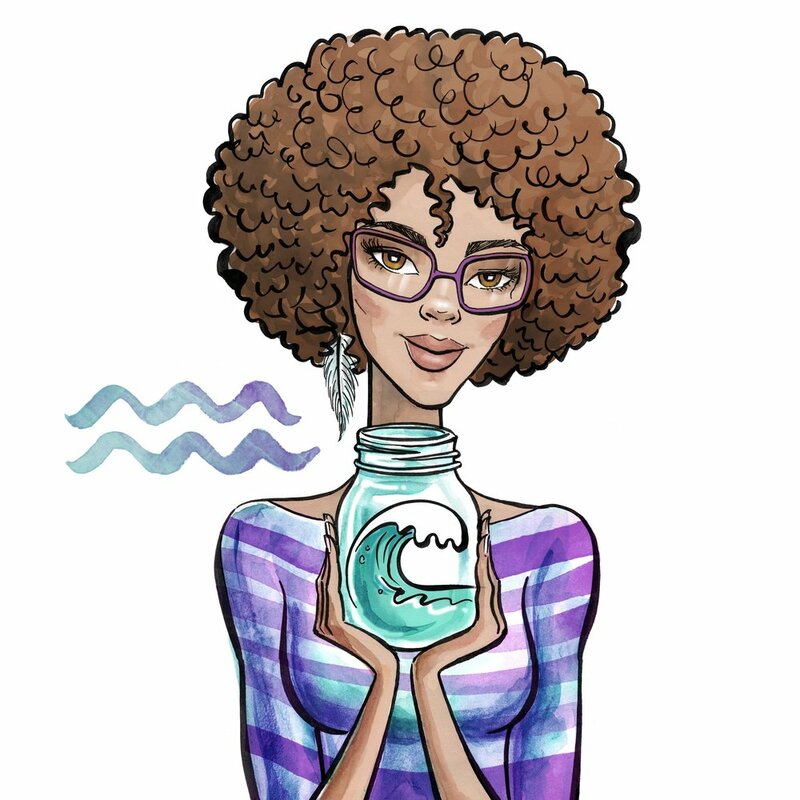 Aquarius rules the 11th house of friendships, groups, goals, philanthropy and technology, so on a global scale, you might notice these themes come up. Of course, Aquarius rules a different house for every sign, so be sure to read the individual monthly horoscope for your sign. And be sure to read for your rising sign as well! Later in the month, on February 19th, we’ll see a gentle full moon in Virgo, sign of work and health. This moon encourages us to get our collective routines and systems in order, whether it’s on the job or regarding our bodies. This is a good time to tidy up the office, complete assignments, apply for jobs, and address health concerns. Make sure you’re taking those vitamins- we’re still in winter after all, and not quite out of flu season yet! Again, Virgo rules a different house for every sign, so be sure to check out your individual monthly horoscopes to see what’s up. Pisces: February 17th, when beautifying Venus in your hopes and dreams house sends a kiss to your ruler, Neptune, in your sign. Aquarius: February 2nd, when your ruler, Uranus, gets a wonderful beam from Venus, linking your commitment zone to your house of hopes and dreams. Capricorn: February 18th, when beautifying Venus conjuncts your ruler, Saturn, in your sign, blessing relationships and personal initiatives. Sagittarius: February 7th, when the Sun, ruler of your 9th house (the house Sagittarius rules!) makes a fiery trine to your ruler, good luck Jupiter, in your commitment sector. Scorpio: February 22nd, when beautifying Venus conjuncts your ruler, Pluto, in your commitment house. Libra: February 2nd, when your ruler, Venus, gets a thrilling surprise from Uranus, linking your two commitment sectors. Virgo: February 3rd, when lucky Jupiter will beam to your ruler, Mercury, from your 4th house of home; February 26th, when the fated North Node blows a kiss to your ruler, Mercury, linking your relationship house to your hopes and dreams sector. Leo: February 7th, when lucky Jupiter gives a friendly wave to your ruler, the Sun, linking your love and relationship houses. Cancer: February 9th, 18th, and 27th, when your ruler, the moon, makes divine aspects to good luck Jupiter in your 6th house of work and health. Gemini: February 3rd, when lucky Jupiter will beam to your ruler, Mercury, from your 7th house of relationships; February 26th, when the fated North Node blows a kiss to your ruler, Mercury, linking your money and career houses. Taurus: February 2nd, when your ruler, Venus, gets a thrilling surprise from Uranus, suggesting a nice financial surprise. Aries: February 27th, when the Sun makes a perfect fiery trine to your ruler, Mars, linking your money and closure houses. I love nothing more than relaying good news, friends, so enjoy the smooth sailing this month, and Happy Valentine’s Day!